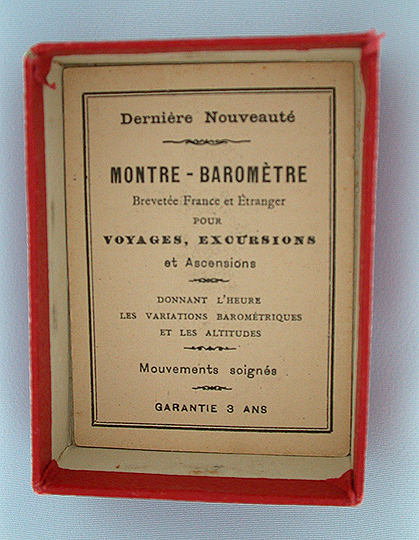 Interesting and unusual Swiss nickel barometer watch with box and directions circa 1900. 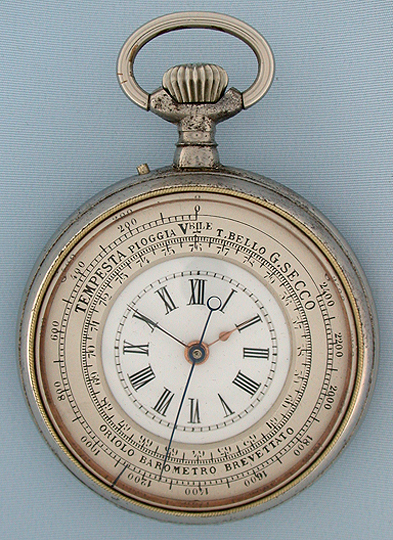 White enamel time dial with gold hands surrounded by silver barometer dial with Blued steel hands. The bezel rotates to move the barometer index marker and the barometer is functioning properly. 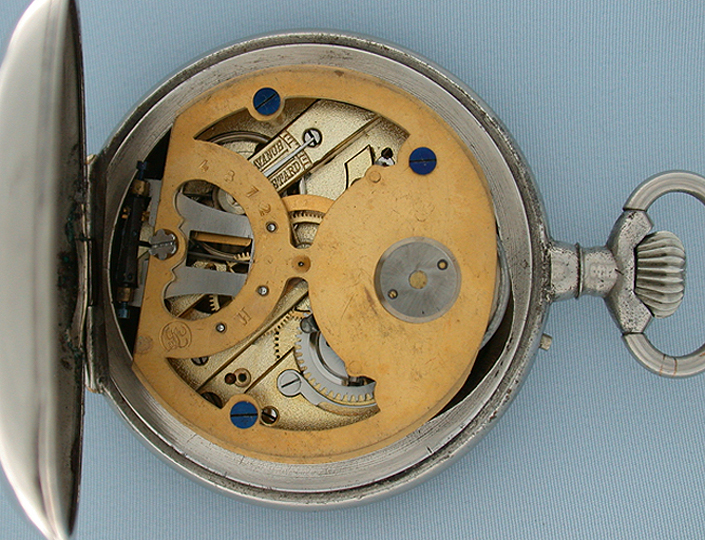 The barometer mechanism mounted on top of the gilt 7 jewel lever movement. 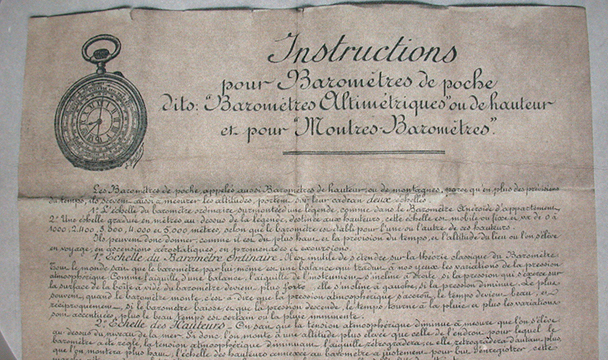 With original box and instructions.